We were looking at how to have an ATM installed for last week's Finance Fridays. This week we are talking about pension transfers. When I first started working in occupational pensions in 1997 I spent a lot of time dealing with cases of pension mis-selling. This was where people were advised to transfer their pensions from final salary or defined benefit schemes to personal pensions. It was found that these pension schemes did not offer the same level of income and benefits that their previous funds did. 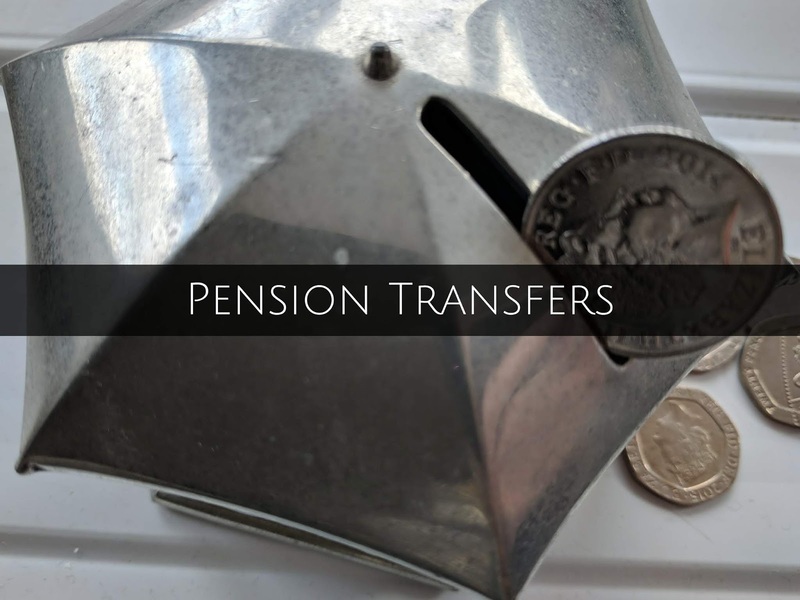 Now, there are far fewer final salary pension schemes and with more people in defined contribution, money purchase or personal pension schemes it seems that pension transfers have become popular again. What type of pension do I have? - Final salary or defined benefit schemes are where your pension is calculated based on the salary you earn and the amount of service you have in the scheme while paying contributions. These type of schemes are quite rate now in the private sector due to their generous benefits and the vast expense of funding them. Many public sector pension schemes are still final salary based although some have now moved to 'average salary'. Occupational defined contribution or money purchase schemes work in a similar way to personal pensions in that contributions go into the scheme and when the person retires the amount that is in the pension pot is divided into an annual income. Why should I transfer my pension? - If you have several pension funds from different employers and providers it can be more convenient and practical to keep them in all place. If you have a number of small pensions you may find that when you retire they are too small to pay out regular monthly payments and the whole pension is commuted into a one off lump sum. If you put your pensions together then your final payments could be higher. In some cases you may be forced to transfer your pension if the company or pension provider is closing down. If you move abroad then it could be easier in the long to take your pensions with. Why shouldn't I transfer my pension? - Any form of investment in one place is not generally recommended – think 'eggs all in one basket'. If that pension scheme collapses or you find yourself a victim of fraud you could find all your pension lost or not all of the amount is recoverable. What should I look out for if I want to transfer? - Look into the history of the company and see if there have been any reports of financial problems. If you are using an adviser make sure they are legitimate. Sadly there have many cases of people being ripped off and their entire pension funds stolen. You also need to check what type of funds your pension pot is being invested in. Some advisers or pension sellers may promise high returns but these can be from high-risk investments. Some pension funds have high investment charges or monthly fees which isn't always disclosed. You need to determine your level of risk and how close you are to retiring. Have you thought of transferring your pension? What checks have you made? If you want to join in with this week's Finance Fridays then add your link to the linky below. Any post concerning financial matters is allowed. Full details here. It doesn't have to be published today as you have until 23.55 on Tuesday 20th November 2018 to join in.